Who will fill Russert's shoes? We're sitting around NewsJunk HQ, talking politics and wondering when the discussion is going to turn to the game of musical chairs that must be playing out at NBC. Think about it this way -- suppose a Presidential candidate died suddenly, can you imagine that the talking heads at CNN, NBC and Fox wouldn't, between heartfelt sympathy for the family, be speculating at who the party would nominate in place of the fallen leader? Would it be Romney or Huckabee, Clinton or Edwards, or maybe someone else entirely? More than 24 hours after Russert's sudden passing, we haven't yet heard any speculation, so we thought we might as well raise the question and run down some possibilities. 1. Keith Olbermann. Af first we thought he'd be a shoe-in, he's batting cleanup at MSNBC, he's personally responsible for them passing Fox in ratings, but he's not a terrific inteviewer, and is seen as highly partisan. It's possible that he could lead NBC at some time, a few years after the election, but not now. 2. Chuck Todd is the rising young star at NBC News, and would be my personal choice. He's a no-nonsense political reporter, respects the Internet and bloggers. When he comes on everyone listens. But he's probably too young and too new to network news to fill Russert's shoes. 3. David Gregory seems most likely to get the job, he's covered the White House for six years, famously stood up to Scott McClellan, but frankly -- he's boring. Gregory would be a good choice if you think the Republican will win in the fall, but if it's Obama, you want someone bright and young and a little wet behind the ears, like Todd. 4. Andrea Mitchell is the most senior of the reporter-analysts at NBC News, and if Gregory doesn't get it, she probably will. 5. Chris Matthews probably thinks he should get it, but he won't. Same with Morning Joe. 6. Tom Brokaw will certainly fill in on Sunday, and maybe for a couple of weeks while the dust settles at NBC, but he's the emeritus anchor at NBC, and not likely to want to come back into the fray. They'll save him for big interviews and to deliver the obits on NBC. We're assuming they would promote from within. 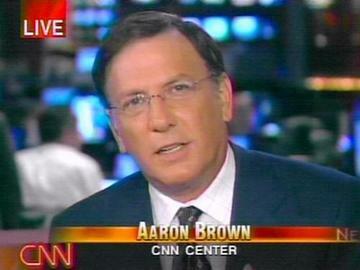 If not, consider Wolf Blitzer, David Gergen, George Stephanopoulous, Chris Wallace, Anderson Cooper, Gwen Ifil, Bill Moyers, Charlie Rose and my favorite dark horse, Aaron Brown (whose contract with CNN has just expired). Last update: Saturday, June 14, 2008 at 7:06 PM Pacific.